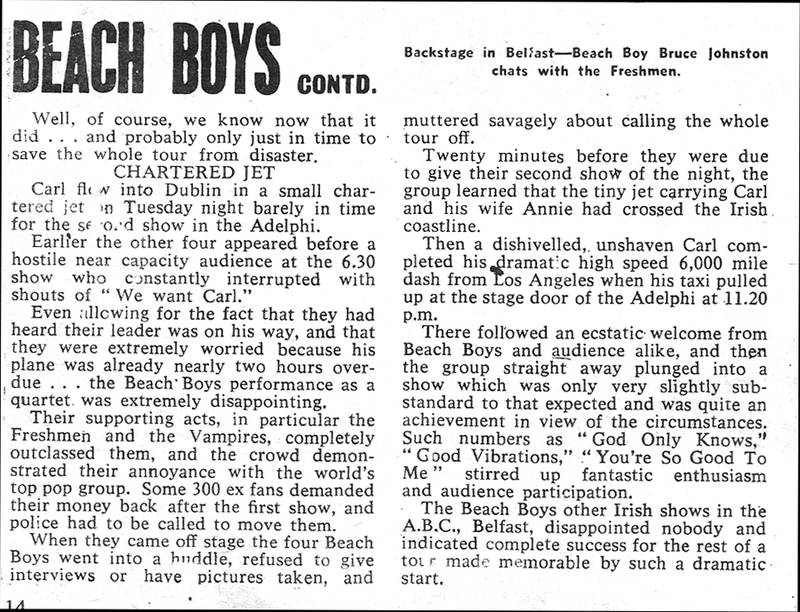 Article and pix all scanned from New Spotlight, May 1967. This was the first issue (vol 1, No 1) when it moved from monthly to weekly. 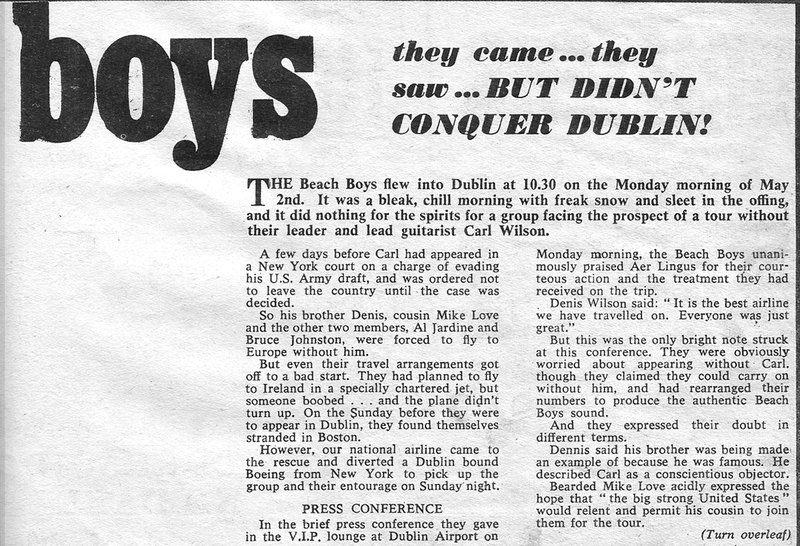 The article & interview with Carl Wilson is by John Coughlan (RIP), Managing Editor of New Spotlight. 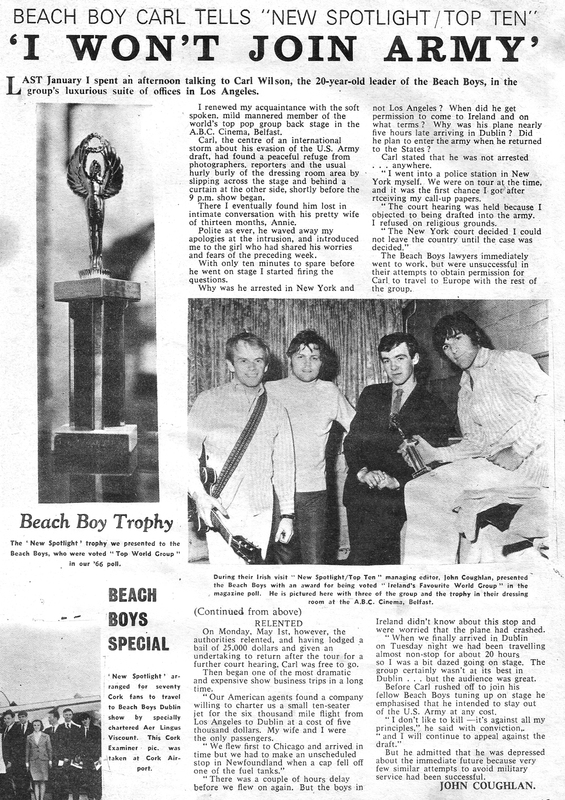 John is pictured above with the Beach Boys in their Belfast dressing room. (Photographer for pix not credited), Click on articles below to enlarge and read more. Not in 1968 they weren’t. Dennis and Charles wouldn’t cross paths until 1968. Also, The Beach Boys only recorded and released one of Manson’s tunes, which Dennis transformed into a fully realised song. Carl refused to go to Vietnam while others only sang about it.